“Oh, you’re an artist? 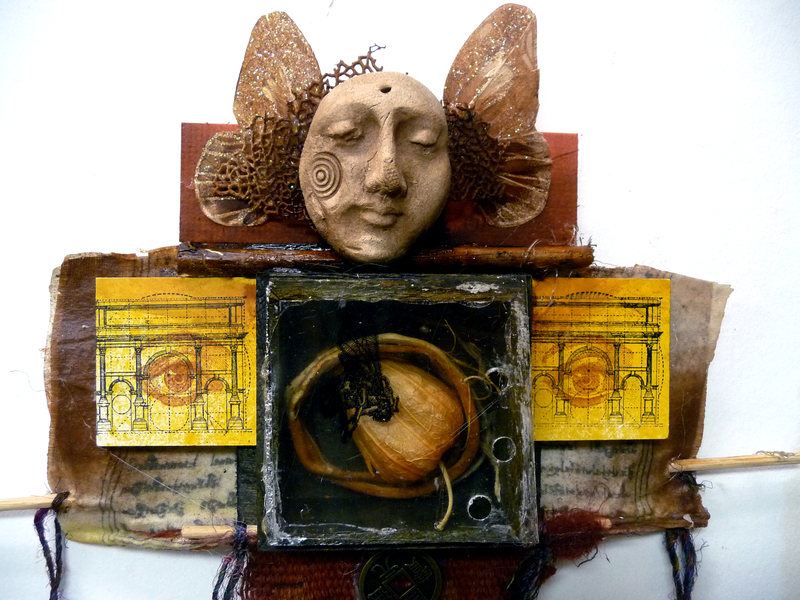 What kind of art do you do?” I get that question fairly often, and I usually just say, “Mixed media.” But if you need to think in terms of a fuller description (such as when writing an artist’s statement), you might need to come up with adjectives that are more specific to your personal style. From this small selection, I can see that I gravitate toward a neutral palette of grays and rusts. I like organic shapes, twig-like lines, and odd and mysterious iconic faces.Not surprisingly, these elements show up consistently in my own work. I don’t know Eileen, but from her selections, I’d say she likes elliptical shapes, whimsical impressionist content, deep pastel colors, washes of paint, and calligraphic elements. When you look at her own work, you can see the strong relationship between what she likes and what she creates. Interesting! 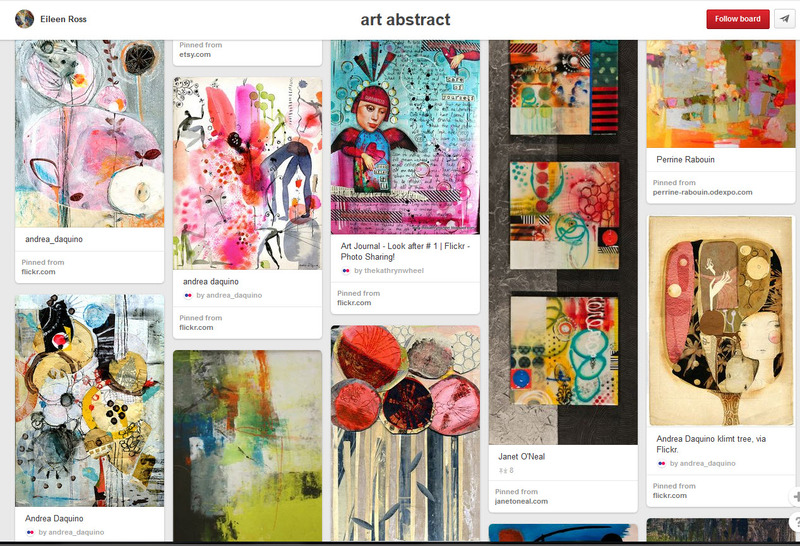 What if you don’t have a Pinterest favorite art board, or even a Pinterest account? It’s easy and free to set one up. Just go to Pinterest and follow the simple directions. 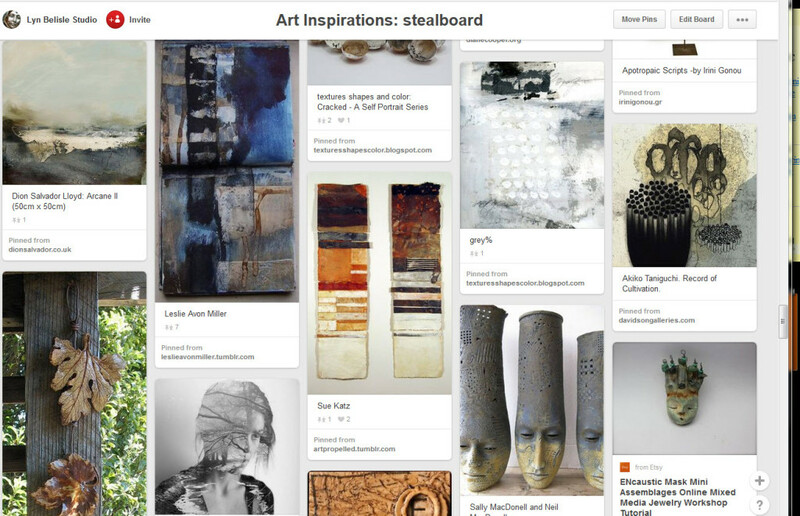 I would also suggest that you install the Pinterest browser button – here’s how. This little tool allows you to click on your browser’s tool bar to add a picture from the Internet to your Pinterest favorites board instantly. Be warned, though – once you start collecting, pinning, and analyzing the kind of art work that you love, you can get addicted!